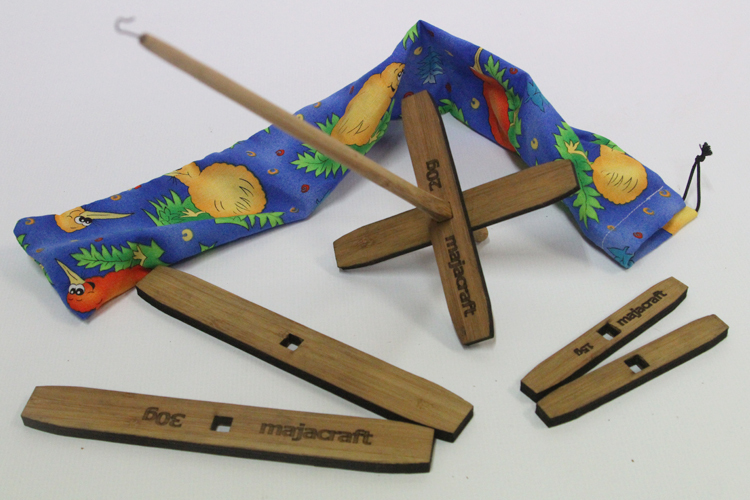 The Majacraft Turkish Spindle Set is a combination of simplicity, functionality and beauty. 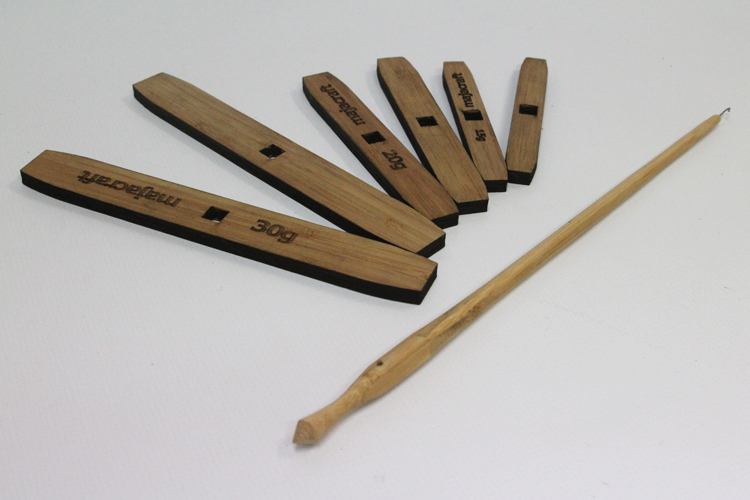 The set includes three different Turkish spindles made from 6mm bamboo ply that has very even density. They are weighted at 15g, 20g and 30g (0.5oz, 0.7oz and 1oz) – actual finished spindles may vary slightly in weight. Spindles are an easy way into spinning and because Turkish spindles collapse down flat, this is a set that you can take anywhere. The 15g spindle is perfectly suited for very fine yarns while the 20g and 30g spindles are great general purpose spindles. We have included a fabric bag to keep your shaft and three spindle arms safe while you travel with them.